One day and one decision changed Ginny Lemon’s life forever. On May 15, 1975, the fifteen-year-old was abducted from a convenience store in Fort Lauderdale, FL by a motorcycle gang member. From that day on, Ginny’s life depends on the goodwill of Satan’s Army leader, Grizz. Grizz may be the frightening gang leader, but he has a soft spot for Ginny. She’s his obsession and he’s dedicated to keeping her as safe and happy as a captive can be. Ginny is forced to trust in Grizz and try to adjust to life in the motorcycle gang. As time goes by, Ginny wonders if she will ever be able to get out alive or if she’ll be a prisoner forever. Oh. My. Goodness. My mind is blown. BLOWN! I am honestly struggling with what to even write about Nine Minutes. Nine Minutes was amazing. I loved it…but I hated it! The entire premise was so messed up. Everything that happened in this book was so disturbing! But the writing was so good. The surprises I didn’t see coming were amazing. The cliffhanger was awesome. I must have reread the last few chapters two or three times just to wrap my head around it. So while I hated everything that was happening to poor Ginny, I couldn’t help but love this book. It’s going on my list of best books I’ve read so far in 2015. I highly suggest to READ. IT. NOW. Seriously. 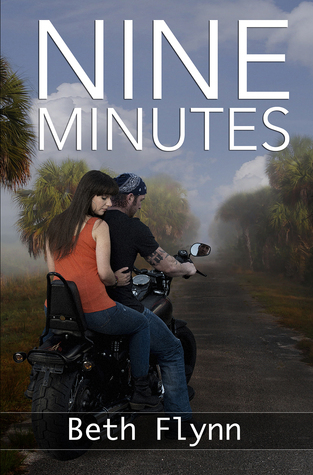 I would warn, however; Nine Minutes is filled with violence, sexual situations, and anything else you could think of happening in a motorcycle gang story. Think of a Sons of Anarchy type story. 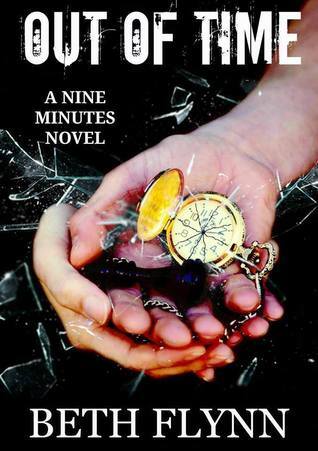 If you’re interested in reading it, as of now Nine Minutes is $1.99 on Kindle and the second book in the series is releasing this Thursday, July 23, 2015!